The BCT program just announced its lecture series for the spring semester 2019. All lectures are free and open to the public. 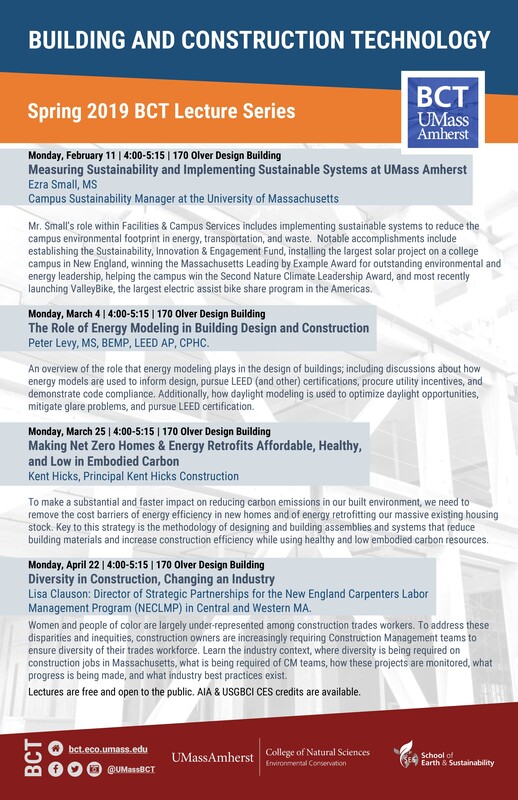 AIA and USGBCI CES credits are available. You can find these events in our calendar or you can subscribe to the entire series in your calendar application using this link.